A.L.S. Local Locksmith Glasgow provide a locksmith and double glazing door repair service throughout the Glasgow area. Is your lock obsolete? A.L.S. can fit something new, better security and up to date to your door. Can provide high security Ultion locks suited or stand alone. 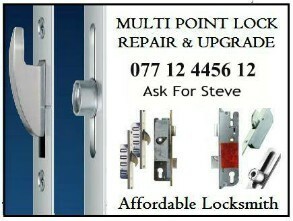 These 3 star locks are approved by the police and insurance companies alike.